Paul Mango, a former Pennsylvania gubernatorial candidate who is a fierce critic of ObamaCare, will join the Trump administration in a top health-care role. Mango will serve as chief principal deputy administrator and chief of staff at the Centers for Medicare and Medicaid Services (CMS), the agency that oversees health insurance markets. CMS cited Mango's "long and successful career" at consulting firm McKinsey & Company, where he worked on health-care issues, in making the announcement Tuesday. 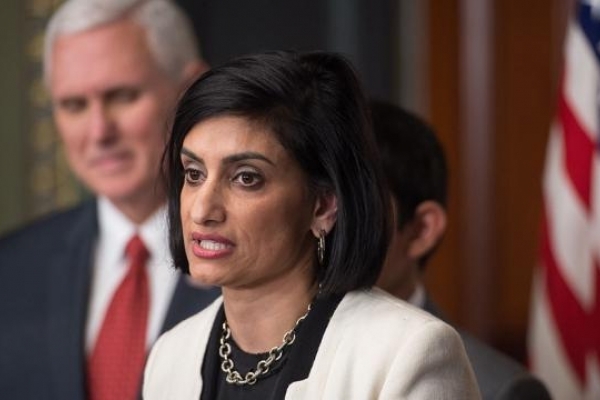 “I have known Paul for more than 10 years and look forward to having his support as we deliver on President Trump’s agenda and execute on our strategy on behalf of the American people," CMS Administrator Seema Verma said in a statement. Mango has been critical of ObamaCare, calling it a "disaster." "If one is heavily subsidized and relatively sick, the exchanges remain a bargain," he wrote in an October 2017 op-ed. "For those in the middle class struggling to make ends meet, the exchanges have become a nightmare." The Trump administration has expanding access to cheaper insurance plans that cover fewer services as an alternative for those who have been priced out of ObamaCare plans. Mango recently ran for the Republican gubernatorial nomination to challenge Gov. Tom Wolf (D). He lost the GOP nomination in May to Scott Wagner. During the race, Mango was scolded by the Pennsylvania Republican Party for engaging in "personal" attacks against his GOP opponent, calling him a "slumlord" and a "deadbeat dad."